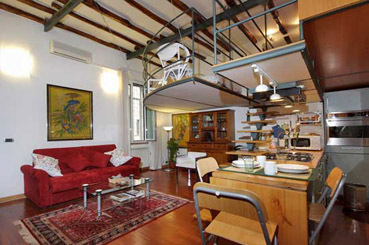 It is a fully renewed and well-finished 40 sqm bi-level studio on the first floor of an ancient building in the heart of Trastevere, one of the most characteristic and eldest areas in Rome city centre. 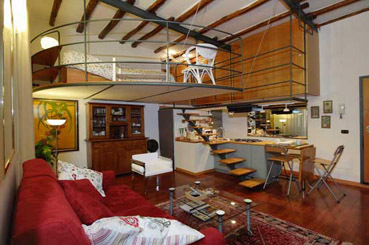 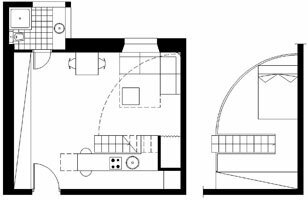 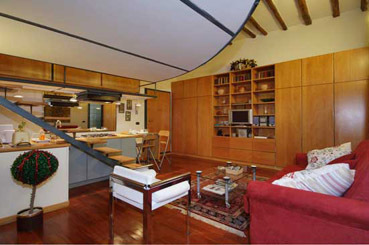 In the lower level is the livingroom with a wide sofa-bed and the modern kitchen, with gas fires and oven. 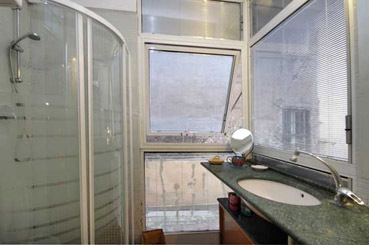 The bathroom with shower box is very full of light. 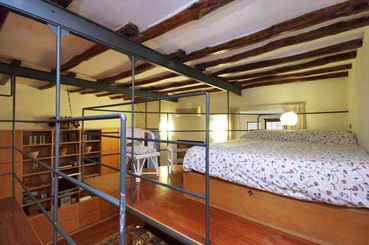 In the upper level is the double bed and a large closet.